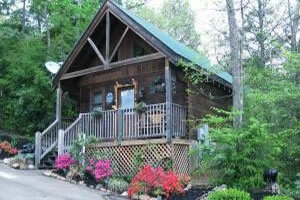 Description - Offering Gatlinburg Cabins | Pigeon Forge Cabin Rentals | Smoky Mountain Cabins Smoky Ridge Cabin Rentals would like to extend an invitation to visit our wonderful Pigeon Forge Gatlinburg Cabins in the Smokies. 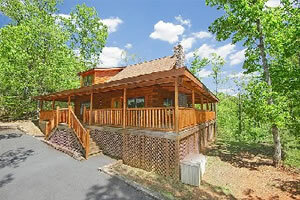 We offer luxury Smoky Mountain Cabins for your getaways with all amenities and comforts of home and much more in a Pigeon Forge or Gatlinburg Cabin. If you are looking for cozy and romantic, or family size, our accommodations will have you coming back again and again. 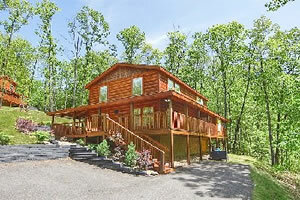 At Smoky Ridge Cabin Rentals we give you the best vacation experience available. 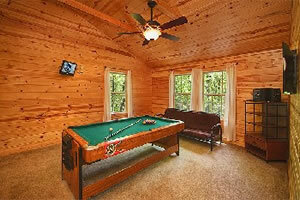 All of our Smoky Mountain Cabins, Pigeon Forge Cabin Rentals, and Gatlinburg Cabins are in the Smoky Mountain area of Pigeon Forge and Gatlinburg Tennessee, featuring gas-log fireplaces, cable or satellite TV's, hot tubs, wireless internet, game rooms, grills, and fully equipped kitchens. Our luxury cabins are located a short distance to Gatlinburg TN, downtown shopping and great restaurants, Ripley's Aquarium and Attractions, Ober Gatlinburg Ski Resort, and Gatlinburg Arts and Craft Community, The Great Smoky Mountain National Park, Fishing, Hiking, Cades Cove, and then there's "Action Packed" Pigeon Forge with outlet shopping, Comedy and Music Theaters, Dollywood and Dollywood Splash Country, Dixie Stampede. This is what we are talking about, so many things to do with endless entertainment, or come relax, rest, and really enjoy the peaceful atmosphere your cabin has to offer. This is your getaway, we hope you have fun and great memories that will last a life time.